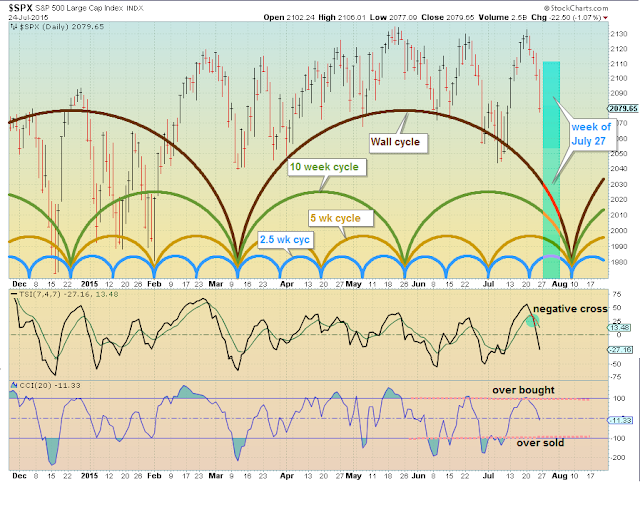 As early as the last of May or first of June My cycles charts identified late July or early August as a bottoming of multiple cycles (nested bottoms).... Trying not to break my arm patting myself on the back (hehehe), but the potential nested bottoms looks more and more likely by first week of August. In order to keep the S&P 500 Index comparable across time, the index needs to take into account corporate actions such as stock splits, share issuance, dividends and restructuring events (such as merger or spinoffs). Additionally, in order to keep the Index reflective of U.S. stocks, the constituents need to be changed from time to time. 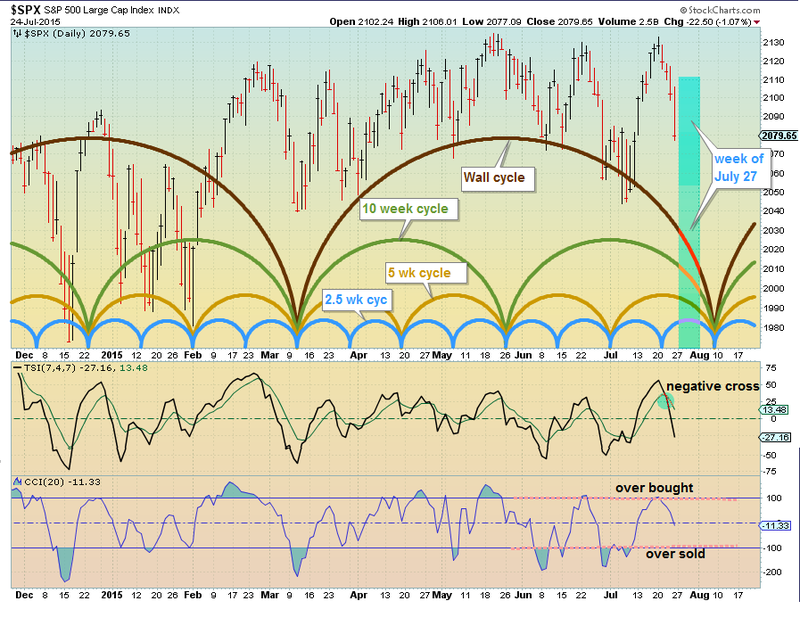 Based on your cycles, you're expecting a minimum drop here to early August. I just think this is just the beginning to a deeper drop but will get a nice bounce to 2110 this week before we roll over. My expectations is for a longer cycle to bottom late 2015 that could be deeper. Still trying to determine a more exact time frame (late 2015 or first part of 2016), so let's see how the market acts once the this medium length cycle bottoms. then spx should make a bottom next friday and a rally will start. Inlet, i looked back to 5/30 article but even that didnt have details of target levels. Nevertheless, we almost hit my target of 2110 today, i think we'll get there tomorrow and upside to 2120 is not ruled out to rest of week. However, I do expect that we test 2050 in early august.